There are so many choices, how do you decide what long weekend getaway to go to! Welcome back to the Hashtag 59 podcast! This month we are handing out our favorite long weekend getaways from around the country! We also discuss why you should take shorter trips, our "rules" for a long weekend getaway, underrated pieces of long weekends, and the longest amount we traveled for a short period of time. We hope you enjoy the Long Weekend Getaways Podcast! Stacey K, our resident Scuba Diving Contributor (check her out on Stacey K's Articles on our archives page), joins Mike and Amy for this conversation on long weekend getaways and shares some of her top spots from her time spent living and teaching in Costa Rica! Listen in or download below! Subscribe on iTunes HERE! Mike R, Stacey K, and Amy K getting ready to record in person! 1. Amy K's Weekend Getaway Blog can be found HERE! 2. Jersey K's City of Angels Long Weekends Blog can be found HERE. 3. Our Destination Guides are here for Columbus, Knoxville, and Tulum. 6. One of these awesome Pure Michigan Ads we talked about...doesn't it look great!! 7. Stacey K lived in Costa Rica near Manuel Antonio National Park, more info HERE! 8. Raygun's Iowa, Idaho, Ohio spoof T-Shirt can be found HERE. 9. Two of Mike R's favorite long weekends have been to Moab Utah and ACL Fest. Thanks for tuning in! Did you enjoy this podcast about long weekend getaways? Have more questions about one of the long weekend getaways we listed or have a topic you'd love to hear discussed on a future podcast? Comment below! 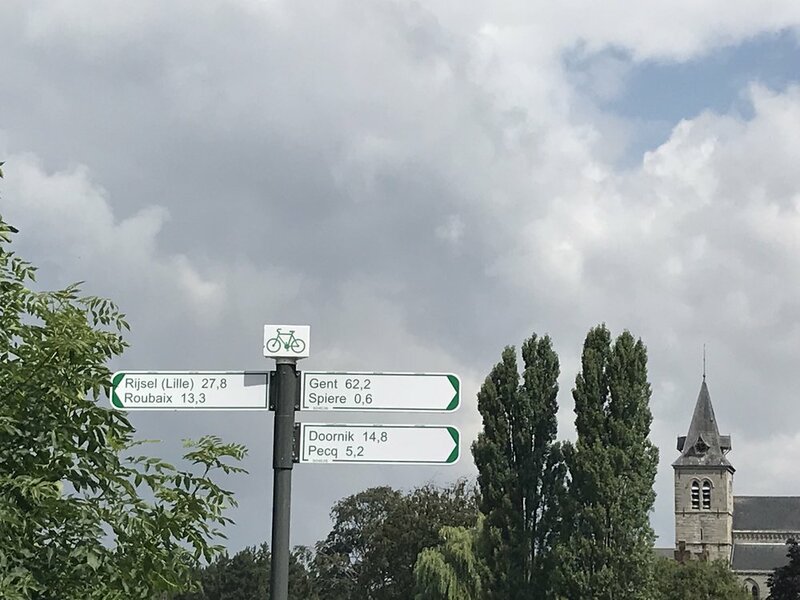 Exploring Belgium and France with Beer Cycling! Sign up with your email address to receive our monthly newsletter roundup of our latest content, contests, and upcoming events you can join us for!